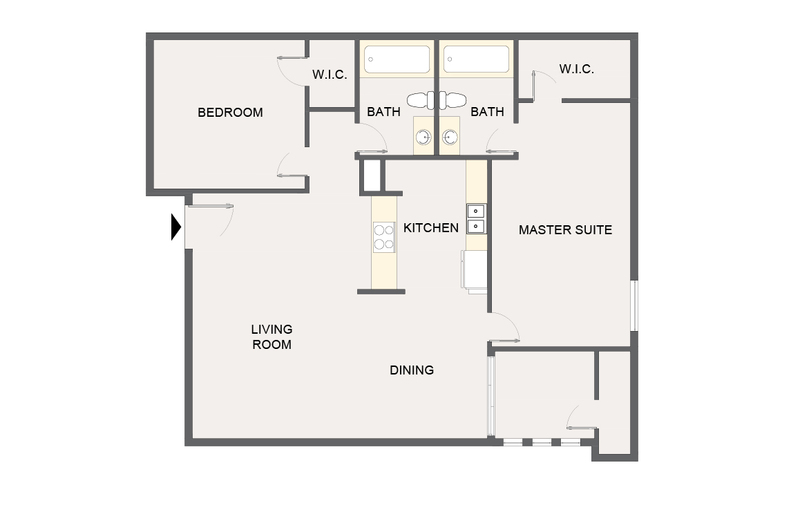 Montecito Creek Apartment Homes offers 14 unique floor plans among our beautifully designed one-bedroom and two-bedroom apartment homes. 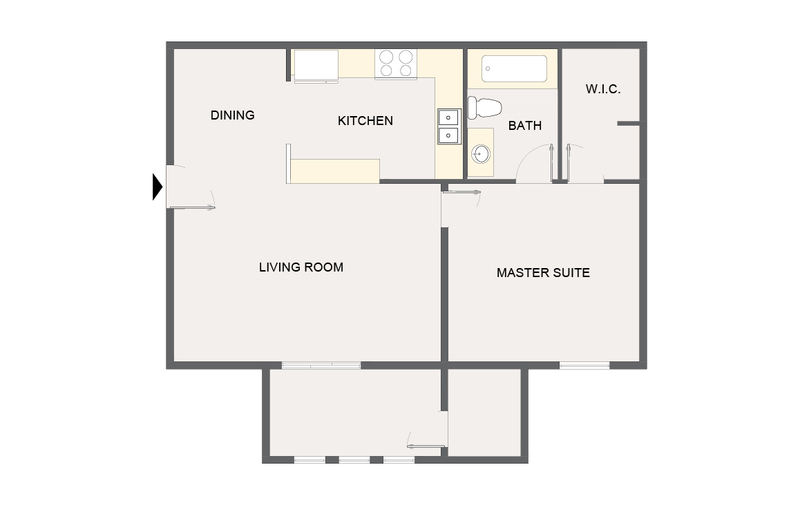 Our one-bedroom apartments provide a comfortable amount of space for individual living, while our two-bedroom apartments are recommended for those seeking additional storage options. 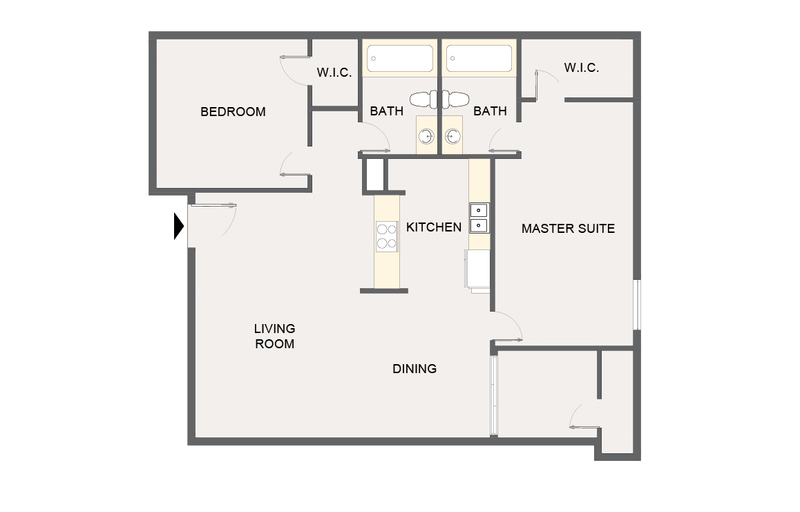 When you step inside your apartment home, you'll notice the beautiful, warm color scheme, the open floor plan, and the centralized climate control system. 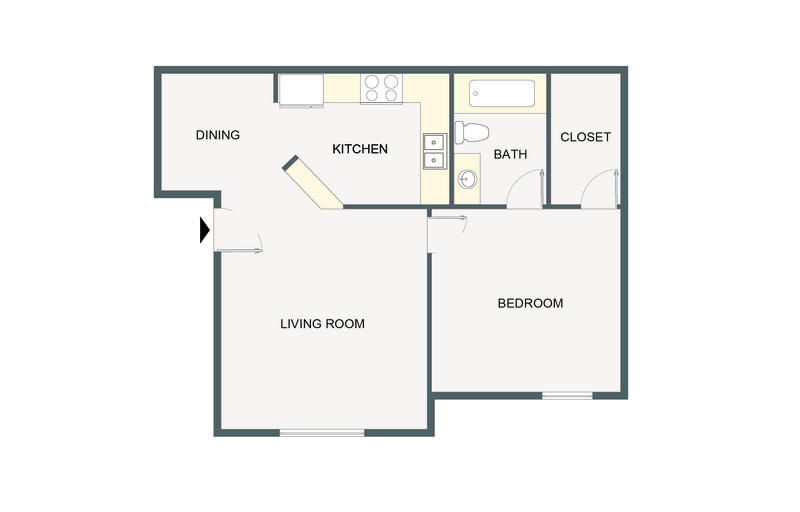 Additionally, our floor plans include ceiling fans, overhead lighting, and fully-equipped kitchens that come complete with built-in pantries. 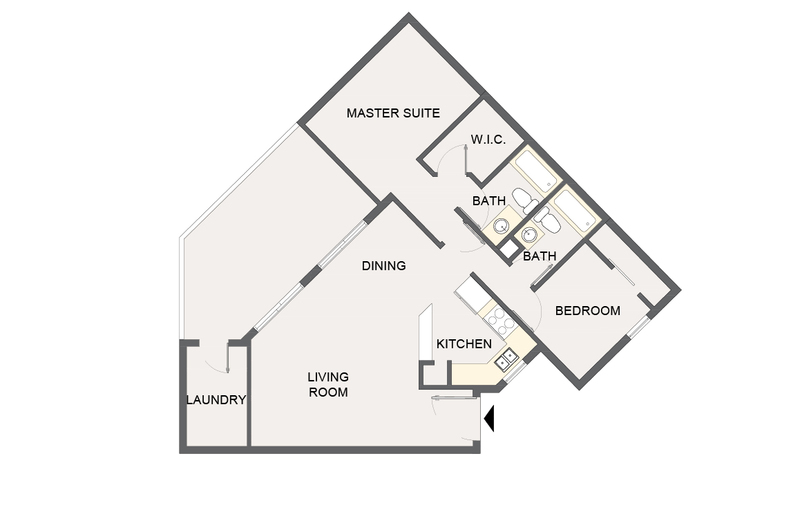 Our community amenities extend to include five sparkling pools, a resident clubhouse, on-site fitness center, and a clothing care center. 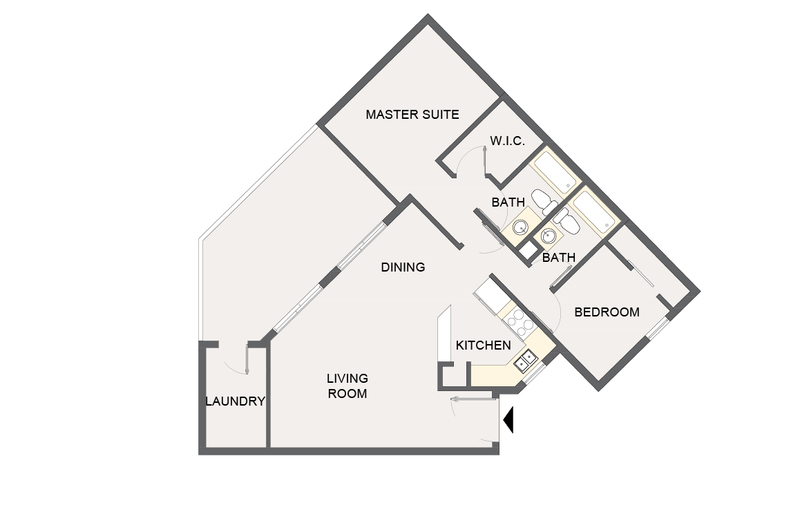 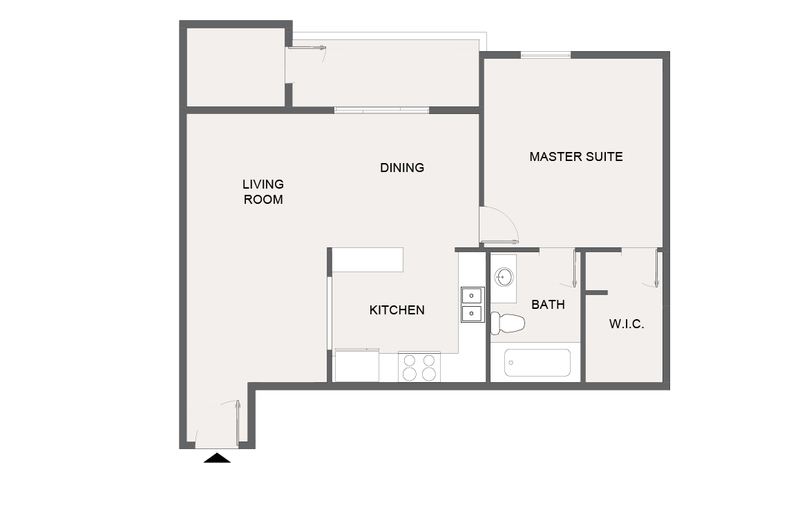 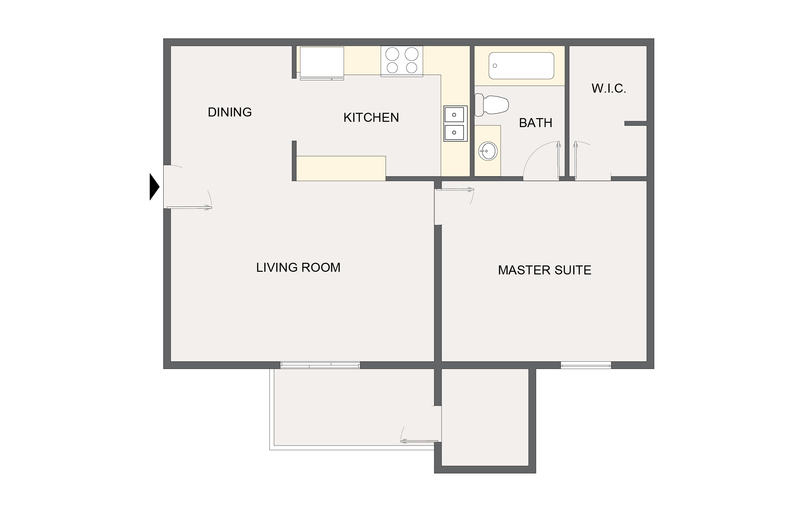 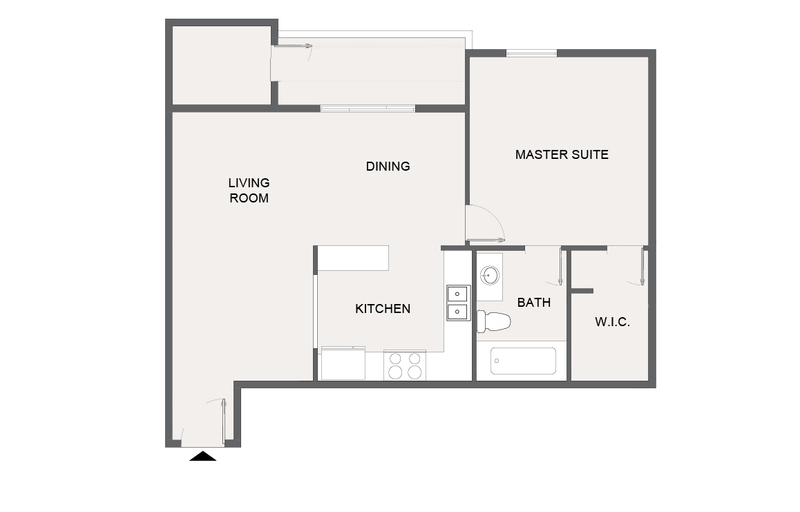 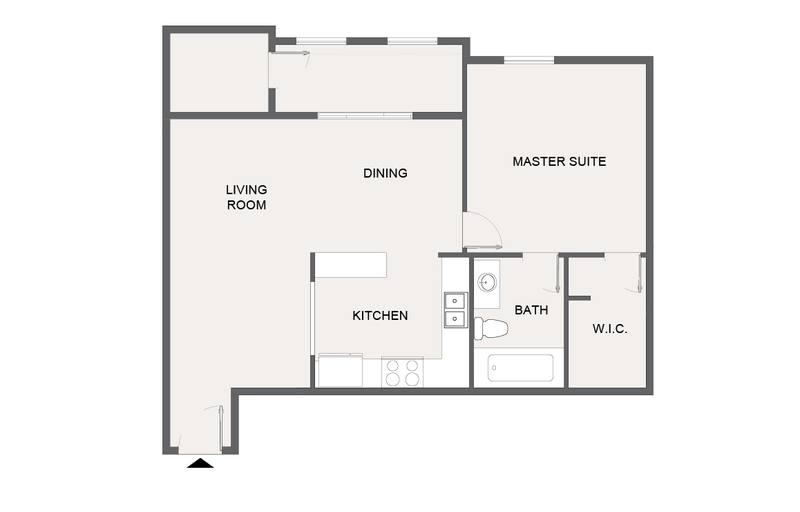 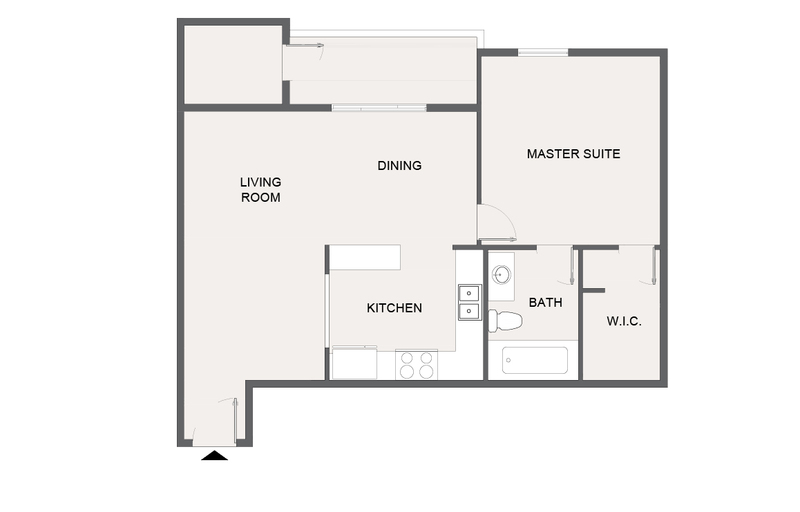 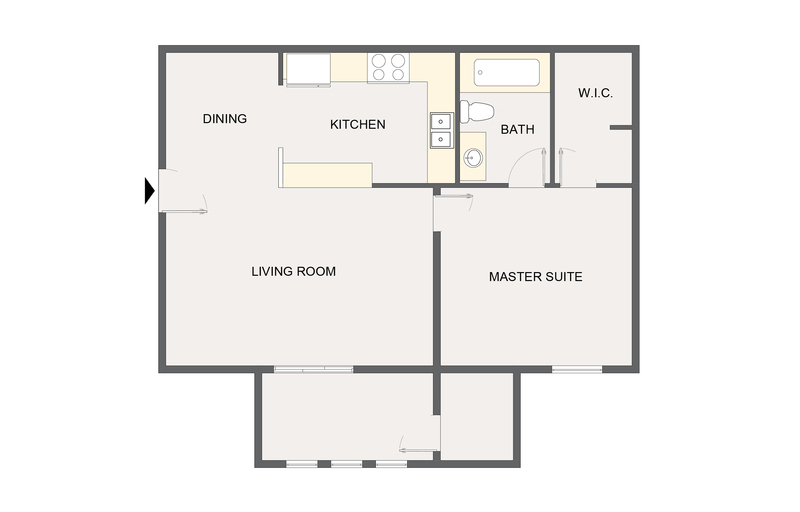 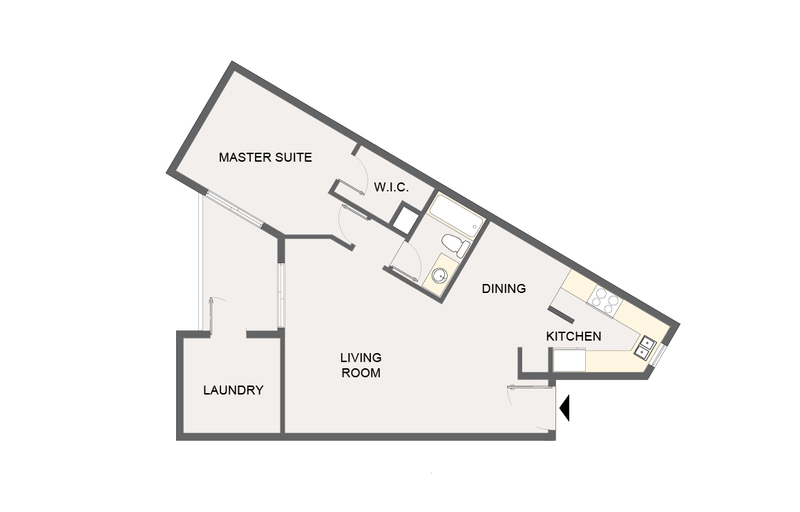 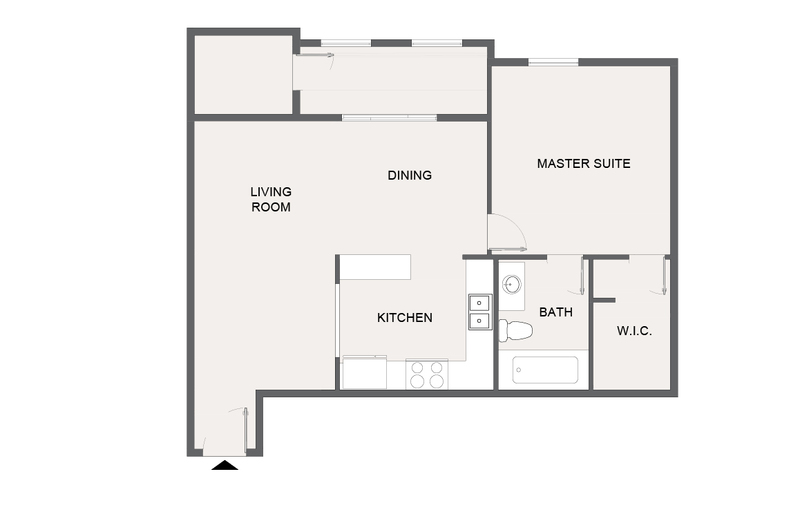 Explore all of the unique features our floor plans include when you schedule a personalized tour with Montecito Creek Apartment Homes!